The Aaron J. Zarate Memorial Award was established to honor and remember Aaron Zarate, a Mariner High School graduate, class of 2003. 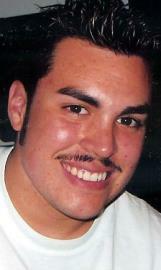 Aaron was tragically killed in a motorcycle accident the summer of 2006 four days after he turned 22 years old. Aaron was young man with a contagious smile and unbounded enthusiasm for life. He was loved and admired by his many friends and extended family, idolized and respected by his four younger brothers, and loved and adored by his mom and dad. Aaron was never someone for whom things came easily. He found success and fulfillment through hard work, determination, and the willingness to accept challenges and face obstacles head on. Aaron will live in the hearts and minds of his family and friends forever and the essence of his spirit will be renewed each year as this scholarship is awarded to a Mukilteo School District students who reflects the qualities Aaron embodied. Your love is with us forever...we will continue to share the Love you left us!